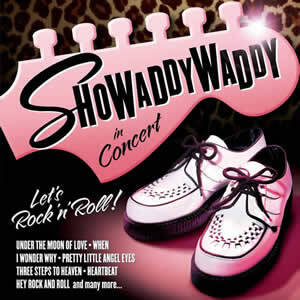 'The Greatest Rock & Roll Band In The World' is a bold statement but Showaddywaddy has lived up to that title for the last 4 decades! 'Under The Moon of Love', 'Three Steps to Heaven', 'Hey Rock & Roll', 'When', 'Blue Moon', 'Pretty Little Angel Eyes' and many, many more. So come and join the Dancin' Party... You've Got What It Takes!